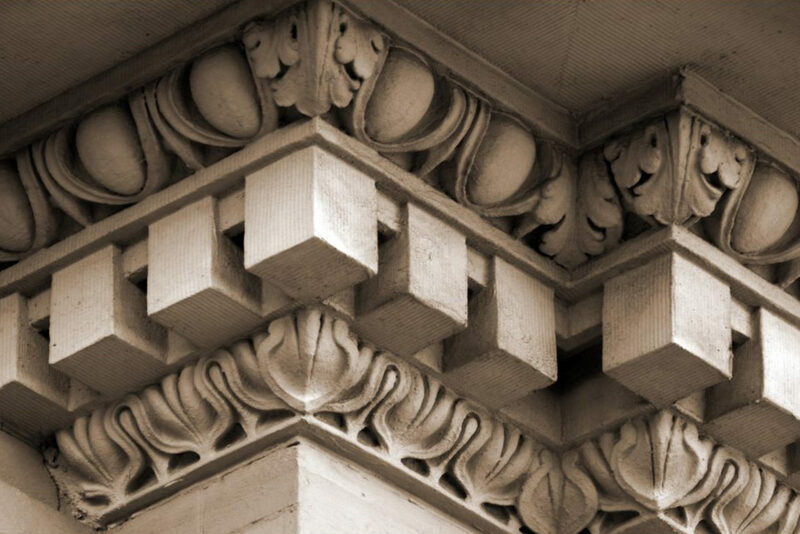 Following a foundational study of molding forms, classical architecture requires an understanding of how moldings fit into a full architectural work. In order to translate an academic knowledge of moldings into a masterful composition, one must comprehend how moldings are planned, constructed, and installed. In the course Advanced Classical Elements: Moldings in Practice, instructor David Ellison showed students how moldings come to life. Mr. Ellison began the lecture with a quick overview of the shapes and proportions of moldings, as well as how they interact with light and overall composition. He then began to discuss real examples of applications of moldings alongside critique and recommendations for future work. For example, he showed how heavy repetition of the same molding type on a crown creates a dull look with no dominant shape or interesting shadows. His point was reinforced with a discussion of how moldings are used to create visual interest. 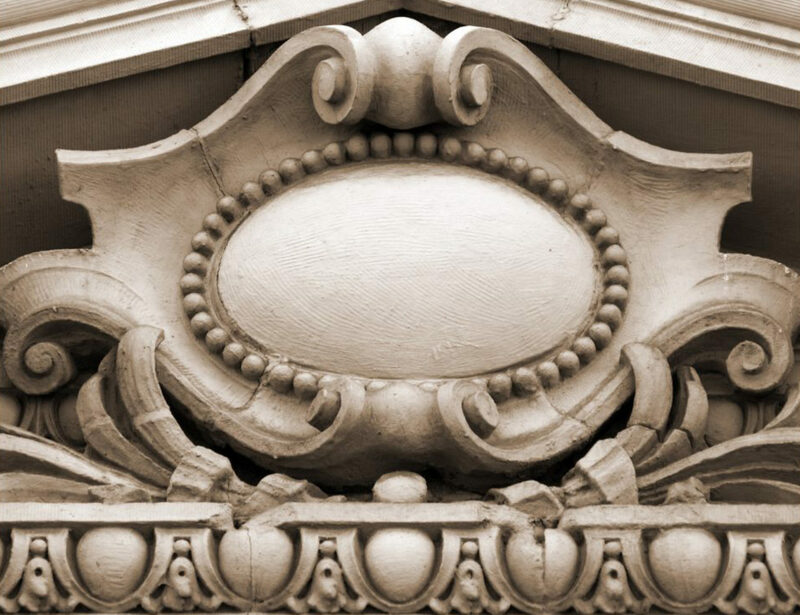 Aspects of combining multiple moldings, such as creating harmonious facial angles, were detailed. Each student was given a beautiful book of reference materials on moldings and balanced molding design, which helped elucidate the material and which they could take home for further study. After the lecture on design considerations, students learned the process of making and installing moldings. Various tools, material sources, and workshop processes were studied, with Mr. Ellison exploring all kinds of potential molding materials: stone, wood, metal, and plaster. The comprehensive overview highlighted the uses and idiosyncrasies of each material, such as the options for changing a material’s color, giving students a better understanding of what they could use in their own practice. During a break, students examined molding samples constructed with different materials to illustrate the lecture. The course ended with an extensive set of recommendations for further research on moldings, from classic manuals such as Letarouilly to studies of Gothic, Georgian, and Victorian moldings. Students left the course with an appreciation for all aspects of the creation and design of moldings, as well as a renewed sense of how moldings can be incorporated into new works.